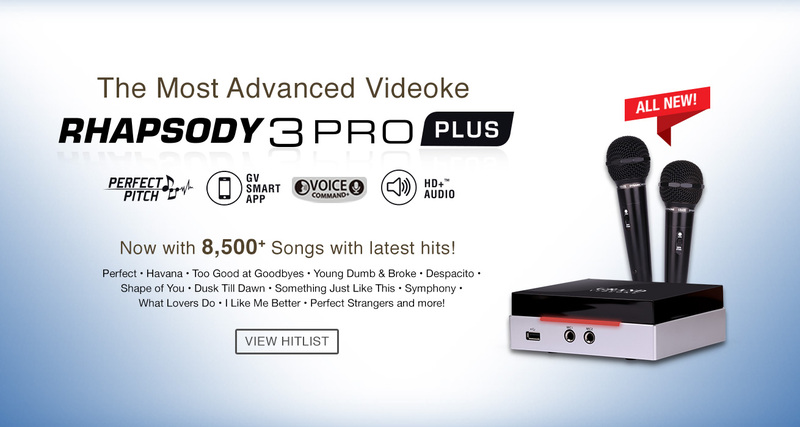 Now with 8,527 Songs including the latest hits: Perfect, Havana, Something Just Like This, Despacito, Shape of You, Symphony, Too Good at Goodbyes, Young Dumb & Broke, What Lovers Do and more! 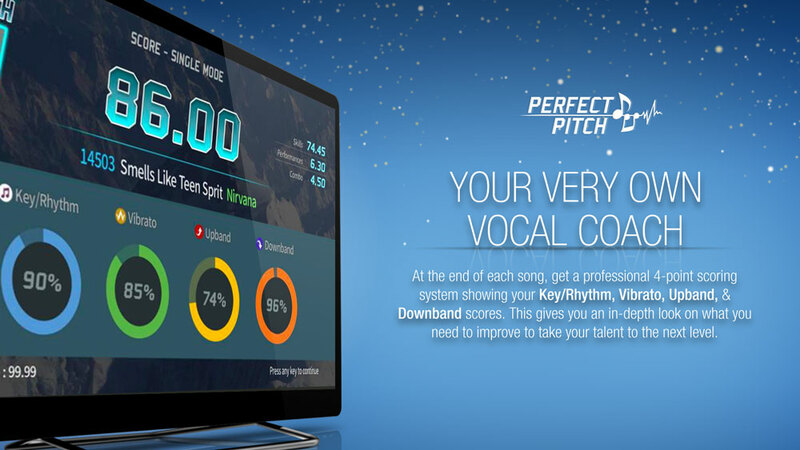 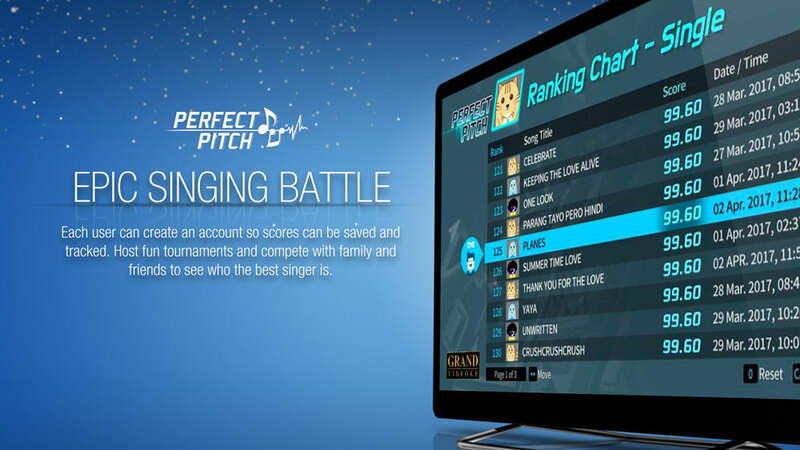 The First with Perfect Pitch™ Interactive Vocal Coach: Gives real-time feedback and 4-Point Scoring System that shows your Key/Rhythm, Vibrato, Upband & Downband scores. 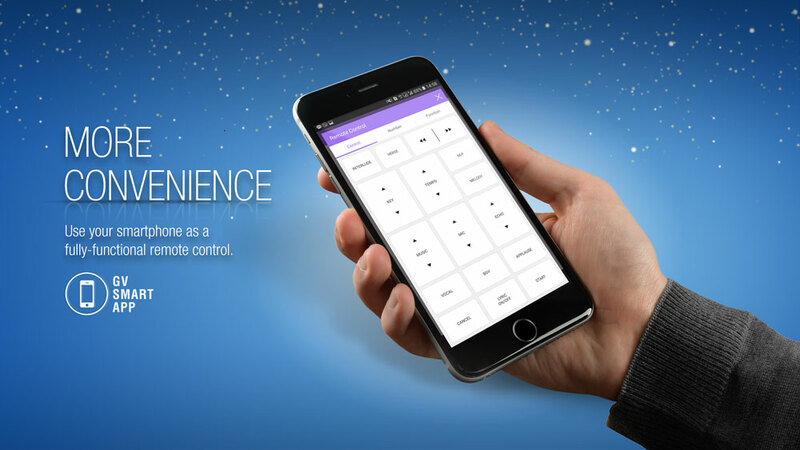 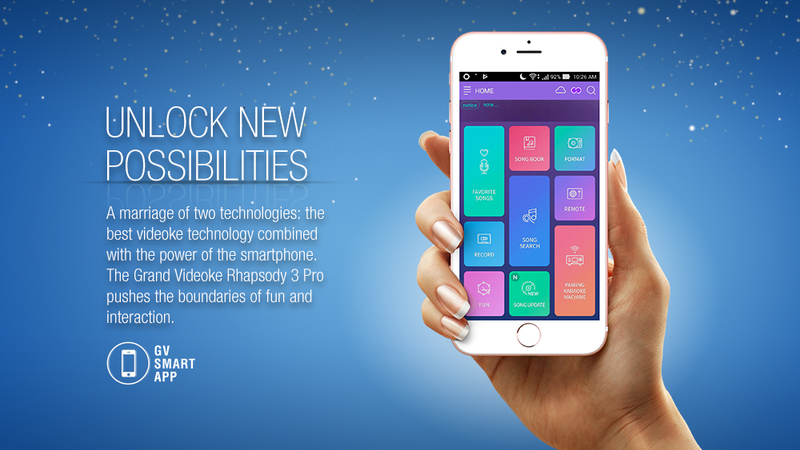 GV Smart App for Android and iPhone/iPad: Push the boundaries of fun and interaction. 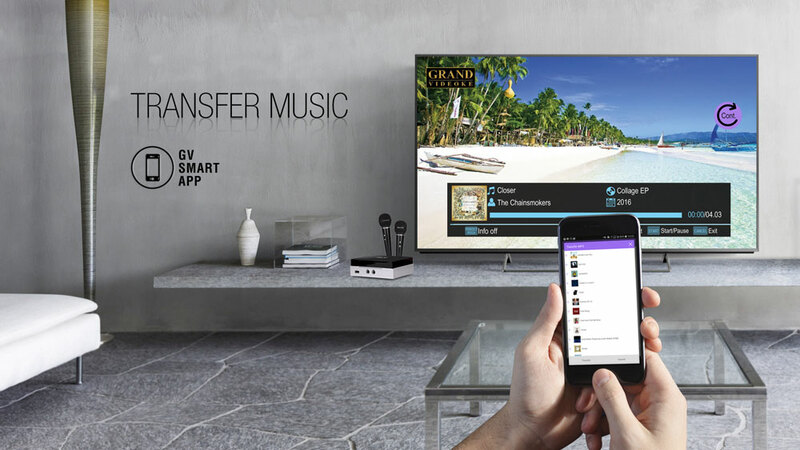 Connect up to 4 smartphones to the main unit. 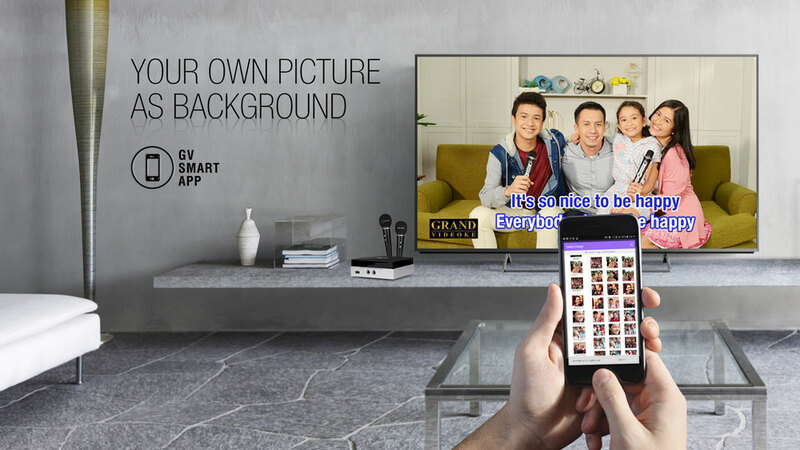 The First with GV Air Transfer: Send fun messages, use own pictures as background, save recorded songs or take screenshots of score and share on social media. 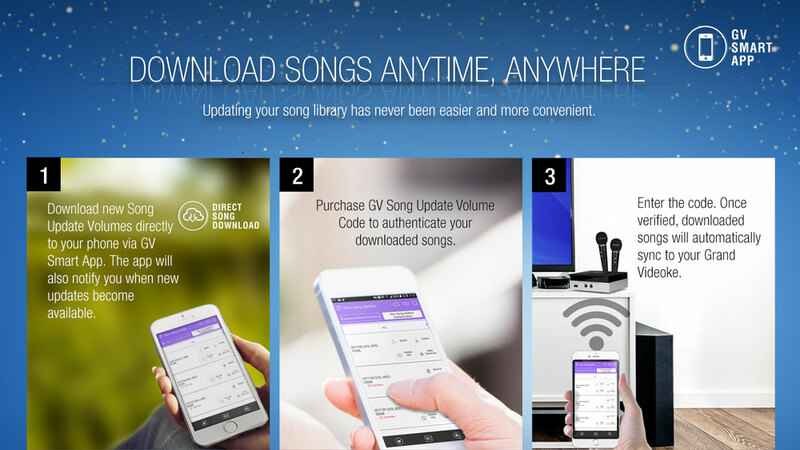 The First with Direct Song Download with GV Song Update: Download songs anytime, anywhere. 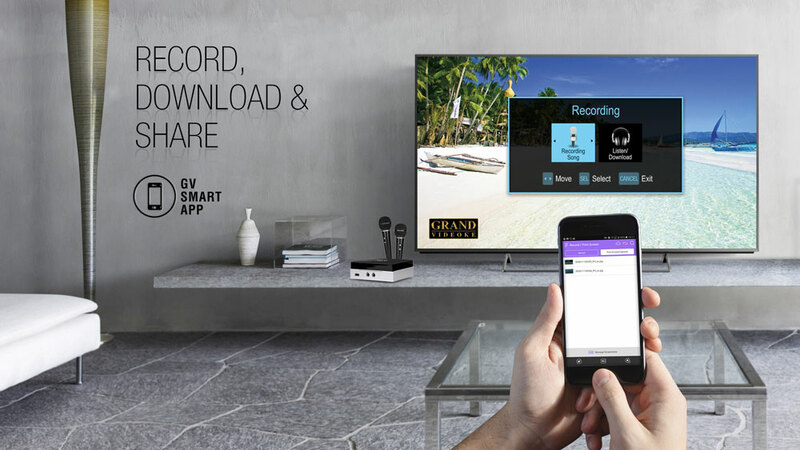 Add new songs to your smartphone via the GV Smart App for Android and iPhone/iPad, and easily sync them to the Grand Videoke’s built-in storage. 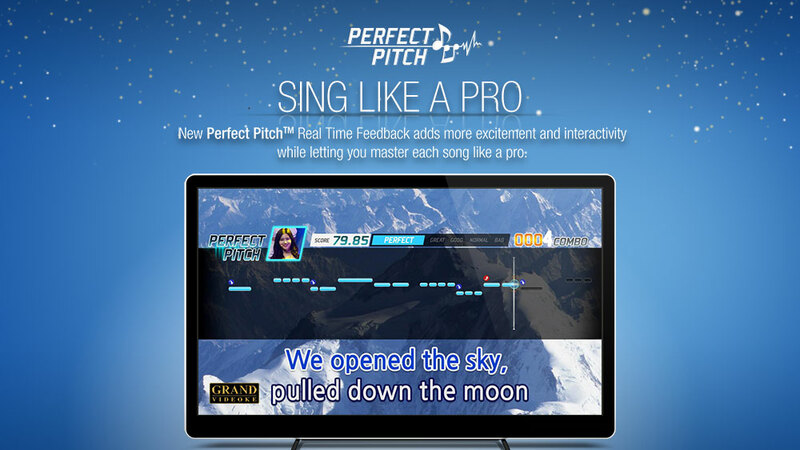 No more Song Packs! 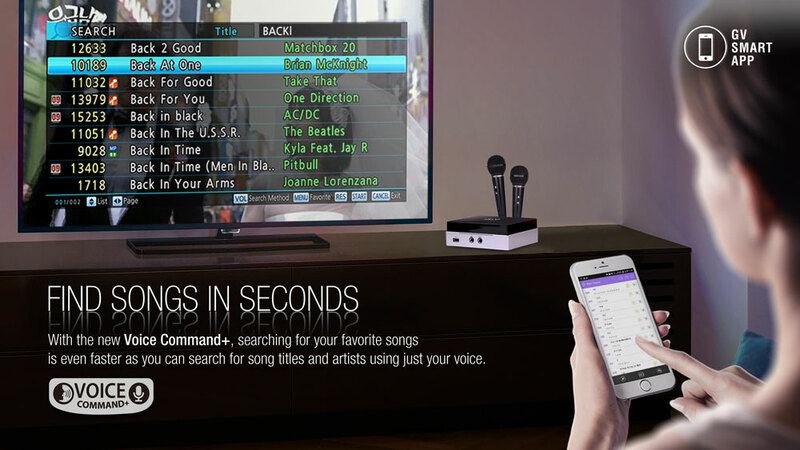 The First with GV Voice Command+: Find songs in seconds on the GV Smart App. 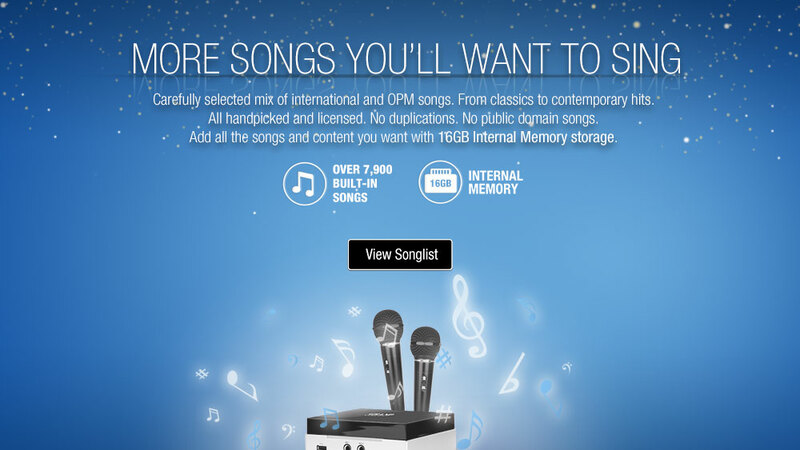 Just say the song title or artist name and sing! 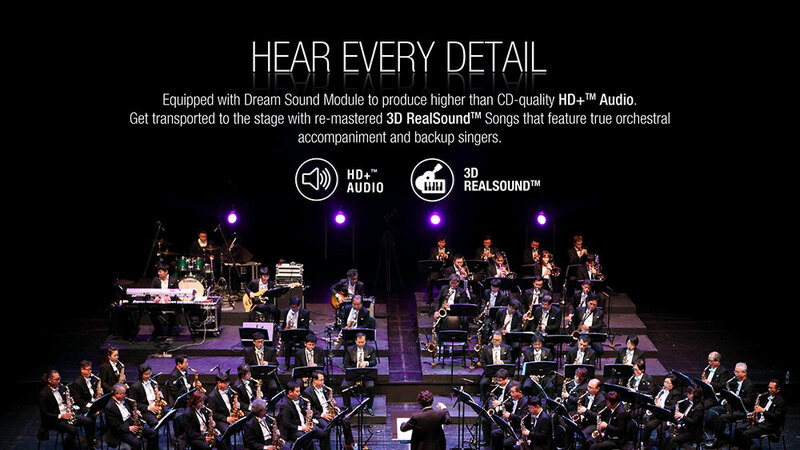 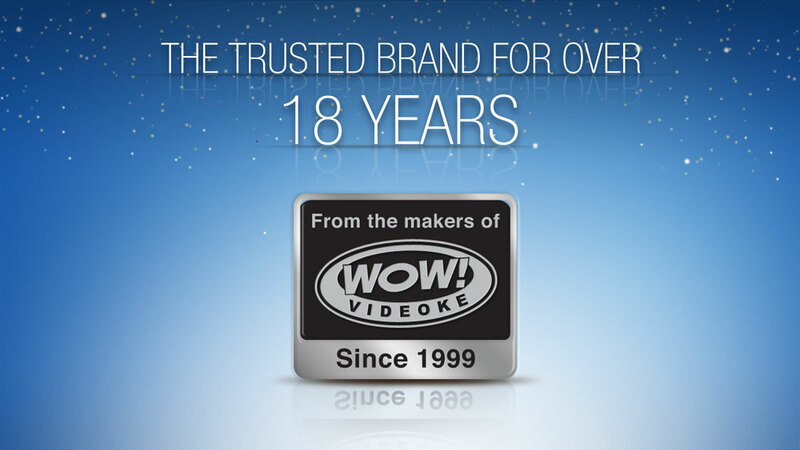 HD+ Audio & Full HD Video: Equipped with Dream Sound Module for more realistic & detailed sound. 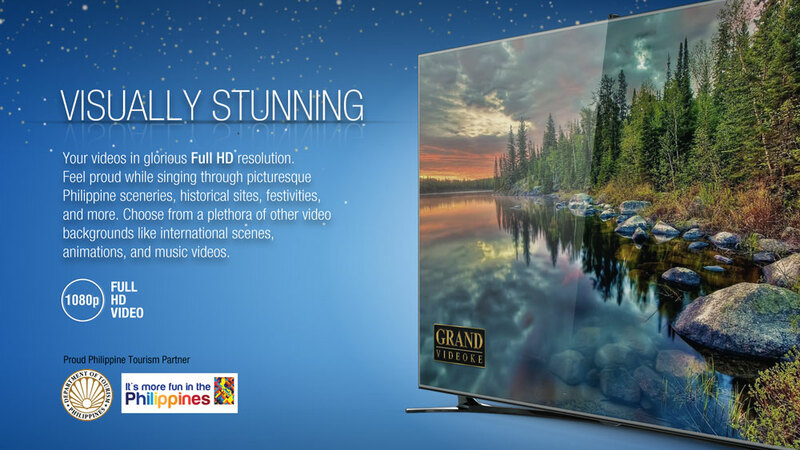 Visually stunning video backgrounds all in glorious Full HD 1080p. 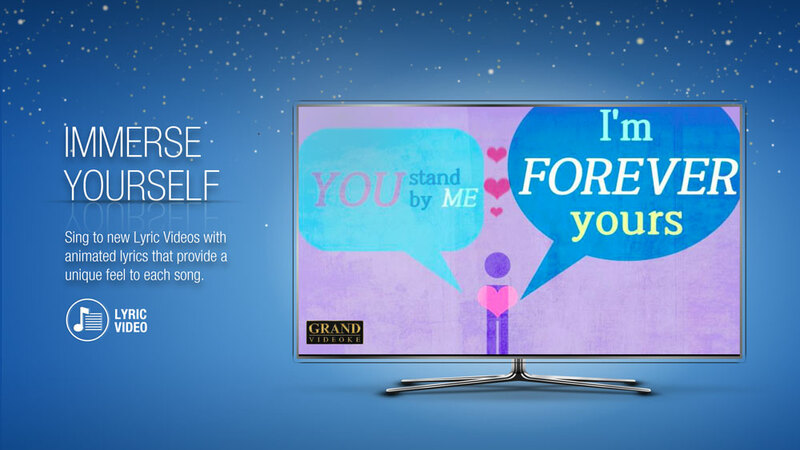 Lyric Videos: Sing to new videos with animated lyrics. 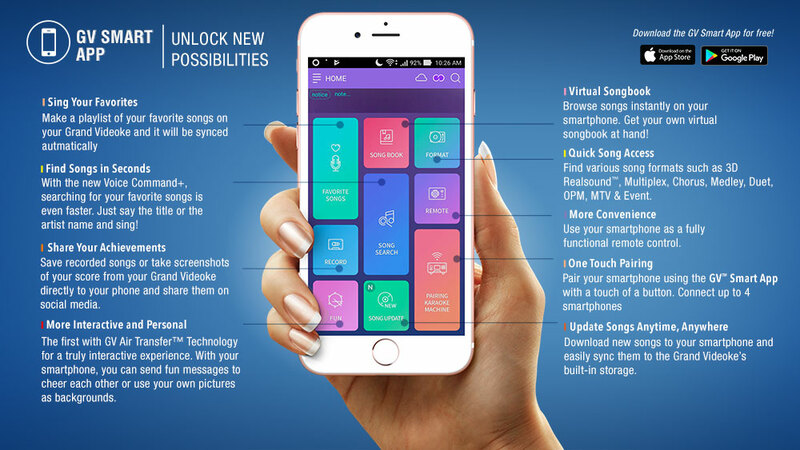 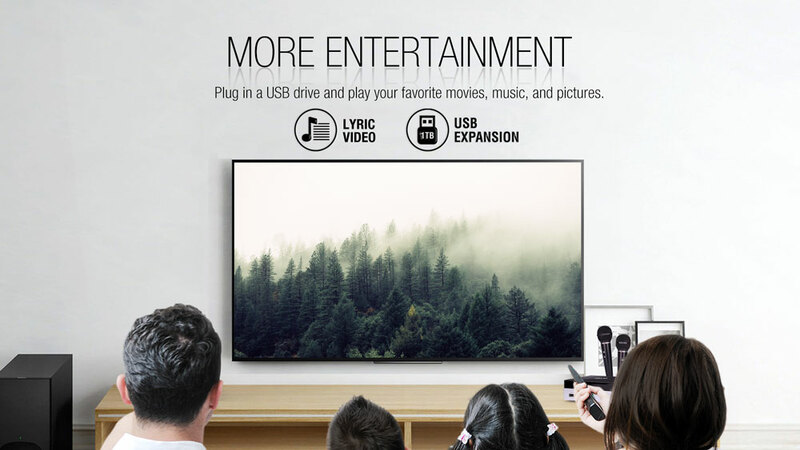 Media Player: Play your favorite movies, music and pictures.